As one of the newest kids on the block in home security, Abode is drawing a lot of attention. We took a closer look at this company's alarm systems and learned that it's got some promising features with its equipment and pricing, but it also has a few drawbacks when it comes to customer service. Abode began as a Kickstarter campaign in 2015, with a goal to make home security simpler and easier for the average homeowner. The company focused on apartment dwellers, with peel-and-stick, do-it-yourself wireless security systems that you can easily move from place to place. The company’s basic DIY system got an upgrade in 2017 with more robust smart home integration features, including compatibility with Amazon Alexa, Google Home, Nest, and Ecobee. Every Abode system includes unlimited app control so you can monitor your system and create home automation rules from your phone. Professional monitoring for your Abode system is optional. Abode has an unusual way of handling packages and pricing: every package comes with the same starter kit, but higher-tier packages come with more perks, like cellular backup and media storage. Any equipment beyond the basics is strictly à la carte. If you want professional monitoring and you buy your package through Abode’s website, your first twelve months of monitoring service are included in the package price, which gives you significant savings. You can also choose to pay for your monitoring annually, saving you between $96 and $240 a year. Even if you decide to self-monitor, Abode has an option for “on-demand” monitoring. You can choose to have your system monitored for a period of three days, seven days, or month-to-month, so you can go out of town and have Abode keep an eye on things for you. The Abode starter kit is easy to install, and the Abode mobile app has good reviews. Because it’s such a new system, it’s difficult to find a lot of customer reviews, but the few we’ve found are mostly positive. The system has quality hardware and an intuitive interface, with features like a “home” setting that keeps the perimeter secure while disabling inside motion sensors—which means you can arm your security system but still walk around inside your home without setting off the alarm. The security system can also recognize your phone and automatically arm when you leave the house and disarm when you come home. One of Abode’s strongest features is its smart home integration. The Abode system is compatible with Nest, Ecobee, Amazon Echo, and Google Home. It uses Z-Wave technology, so you can integrate up to 155 smart devices into your system, including smart lights, thermostats, door locks, garage door openers, and other third-party devices. 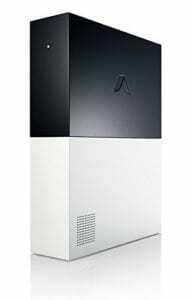 (But be sure to check the Abode website to confirm compatibility.) You can use IFTTT to set rules for your home, like having the lights come on when you get home, locking smart locks when you leave, or adjusting the thermostat while you’re away. Abode has a lot of great features, but because it’s such a new company, its customer service leaves a lot to be desired. We hope that as the company grows it will have enough flexibility to give customers more support options. We’re always in favor of a company offering premium customer support if you’re paying more for your service, but we were disappointed to see that Abode’s lower-tier packages have lower-tier support to go with them. If you need help with your system, you’re stuck with email-only customer support unless you want to pay more for a plan with service perks. What is a motion sensor camera? Abode has a unique camera that looks and operates like other motion sensors, but with one distinct difference: when the system is armed and it detects motion, it will snap a series of photographs to document what’s happening. The camera uses a flash as well, so if an intruder gets into your home, not only will they set off an alarm, but they’ll also be met with a series of blinding flashes as the motion detector in the camera senses movement and starts taking photos. Photos can help you or the monitoring center confirm the alarm and send police. Can door contacts be used as window sensors? Window sensors and door sensors are the same thing and can be used interchangeably for anything that opens and closes. Both use magnets to indicate whether a door or window is open or closed. Abode refers to these as door contacts in the starter kit because when you’re first setting up your security system, you should start with arming doors and add window sensors later as needed. What security cameras are compatible with Abode? Abode currently offers only a 1080p Streaming Camera, but the system also supports the Nest Cam security camera. You can use other cameras that are Z-Wave compatible, like the Blink XT, as long as you incorporate them with IFTTT (If This Then That). The Nest Hello video doorbell is also compatible with Abode. Where should I put my Abode base station? Your base station (Gateway) will need to be connected to Wi-Fi, so you’ll have to put it close to your router. Keep in mind that the base station also houses the alarm for the security system, so make sure it’s somewhere you can hear it loud and clear. What other devices does Abode offer? In addition to the starter kit, Abode also makes a glass break and vibration sensor, recessed door sensor, motion/light/temperature sensor, wireless keypad, smart power outlet/ZigBee extender, smoke alarm monitor, and water leak sensor. Check the Abode website for more add-on products. Abode may be the new kid to the home security game, but it shows a lot of potential. Its flexibility when it comes to monitoring is a huge plus if you don’t want a long-term contract, and its smart home automation capabilities are already outshining many of its competitors—and getting even better every year. Our only concerns with the company are its lack of experience and its weak customer service, but we hope these will improve with time. To review Abode Home Security, we studied its features, plans, and pricing, and read what others were saying about its devices and customer service. We compared it to similar systems to find out how it stacked up. Learn more about our methodology.